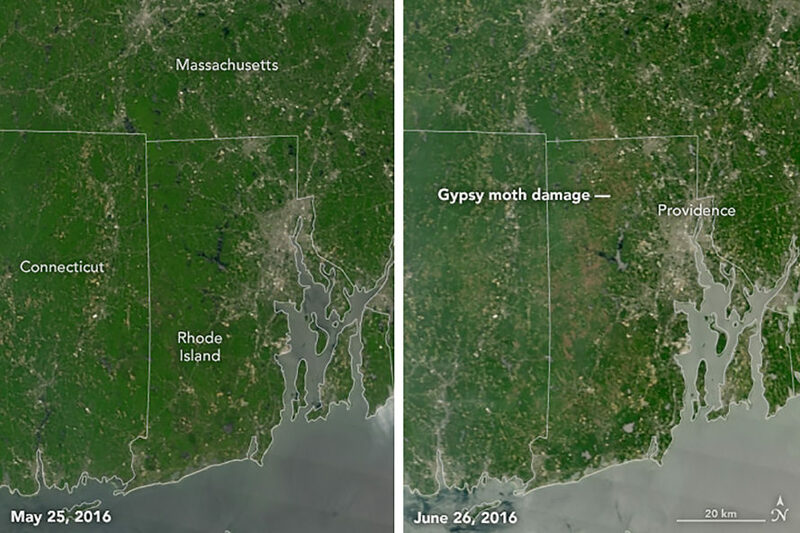 A gypsy moth caterpillar “population boom” has struck New England and mid-Atlantic states – and it’s so big that you can see it from space. 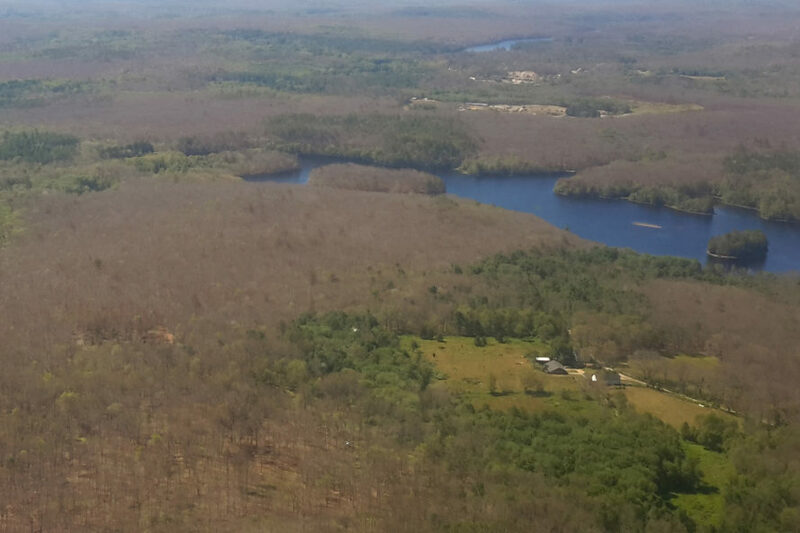 NASA Earth Observatory satellite images of Rhode Island show how much the caterpillars have chewed through the region’s forests. These caterpillars go for deciduous trees, and the NASA images reveal the damage they’ve done. In the Rhode Island satellite images, shown above, swaths of brown reveal where the caterpillars have been at work. The few green trees that remain are the coniferous trees the caterpillars shun. There are a few factors that led to the boom. Ecologists think one is a white-footed mice population decline; these mice typically prey on the caterpillars. Even worse is the drought taking hold of the region that weakens a fungus and virus that usually keep the caterpillars from infesting. It turns out disease and insects yearly damage “45 times more forest area” than fires, according to one 2001 Oxford Journals’ BioScience study. 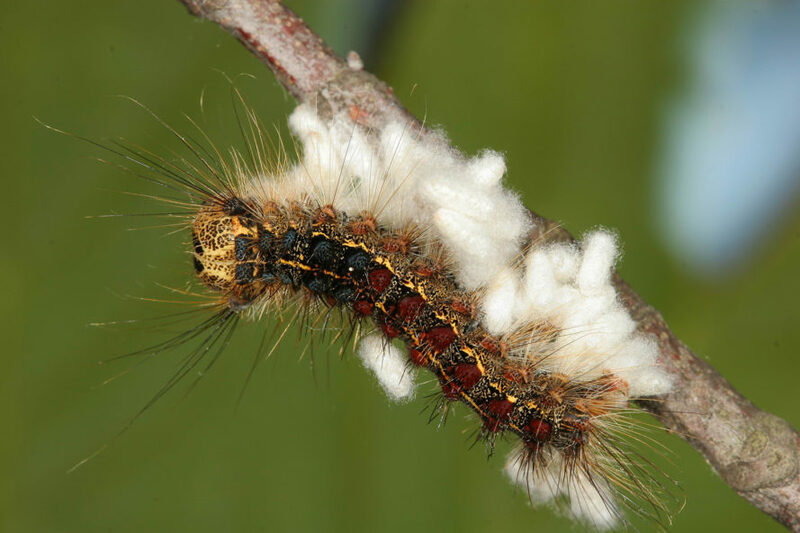 Gypsy moth caterpillars were introduced to the United States during the 1860’s from Europe, and according to the NASA Earth Observatory, their populations tend to boom in certain years based on what is going on in the environment.